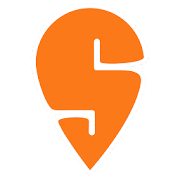 Swiggy Mobikwik Offer – Using Swiggy, you can order food & beverages online from restaurants near & around you. We deliver food from your neighborhood local joints, your favorite cafes, luxurious & elite restaurants in your area. Here i am Giving you a Method where you can use 100% Supercash means you will get a Free Food Worth Rs.100 From Swiggy Mobikwik Offer. This Offer is Valid Only for Today till 11 PM On wards. Follow Given Steps to Get Free Food From Swiggy Using Mobikwik. 3. Verify Your Mobile Number with OTP and Move Ahead.